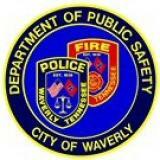 Waverly TN Department of Public Safety - Waverly Police Department - Waverly Fire Department - Waverly Public Safety News - Carjacking Occurs on Clydeton Rd. Great work by the Police department. And everyone remember to keep your doors locked at all times.